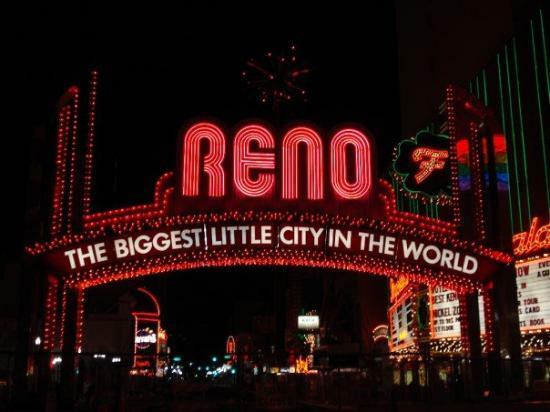 … so, that day he & I and his friend & Cal roommate Brian Watkins headed to Reno, Nevada, to play some blackjack. … and played blackjack from the early evening until 6:00 the next morning … slept for a few hours … then went back for another session at the tables. The experiment was not a rousing success … Doug managed to come out a bit ahead, but I lost just over $100 in 12 hours of total playing time … eventually, we made three more trips to Reno, Tahoe, Sparks & Carson City, but had mixed results and I ultimately ended up with a net loss … so much for the great blackjack card counting experiment. … and I was fascinated by the chips they used to play the game … a lifetime collector of one thing or another, I instantly decided to start collecting casino chips … a hobby I have continued to this day. 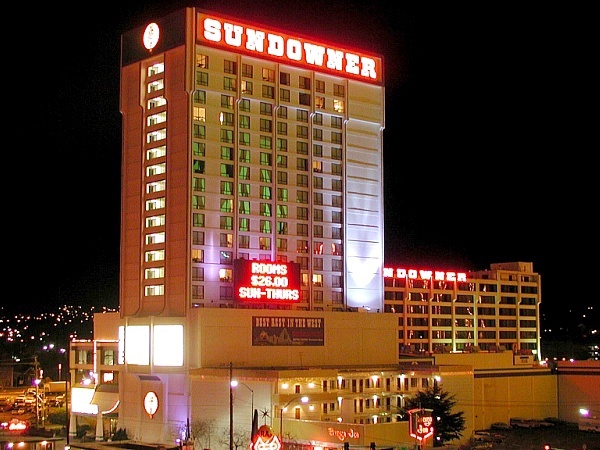 … PMSC chips remain to this day my favorites, though casinos no longer use them. 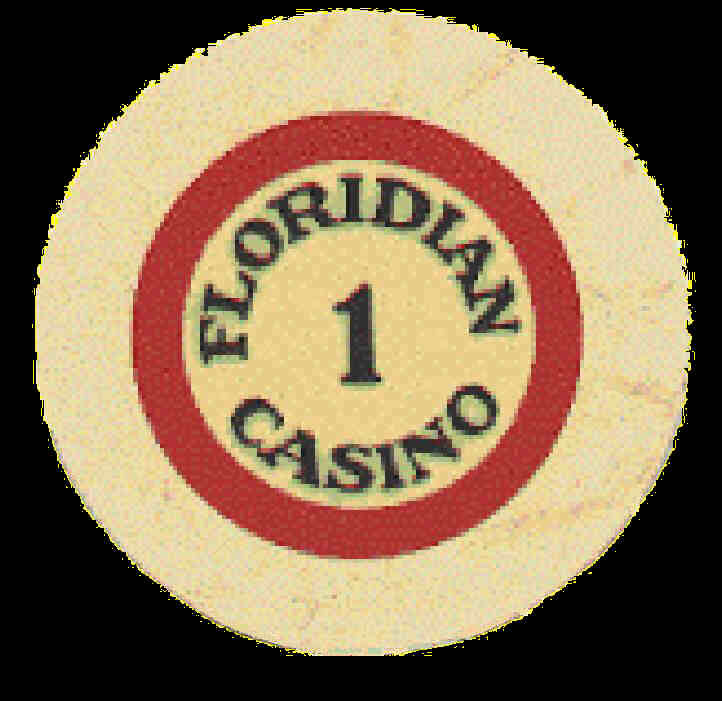 My favorite chip — used at an illegal casino operated in the Floridian Hotel in Miami, Florida, by mobster Al Capone. Only four of these $1 chips are known to exist today. Loose Caboose, Cripple Creek, Colorado, $5 house chip. The Midnight Rose, Cripple Creek, Colorado, $100 chip issued in 2000 for the supposed start of the new millennium (of course, it wasn’t really, but hey it’s a great chip). I got this one from my friend chip collecting friend Bob Orme. 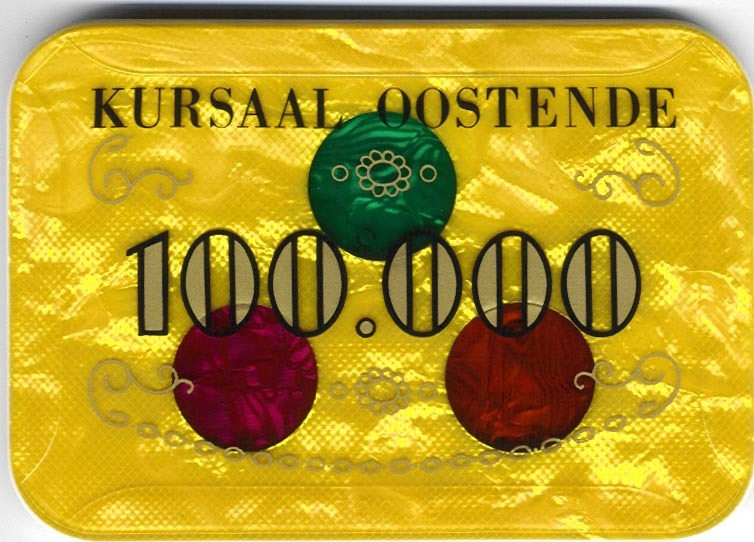 Kursaal Oostende, Oostende, Belgium, gaming plaque. I even managed to combine my new hobby with a previous hobby, collecting US Post Office First Day Covers. 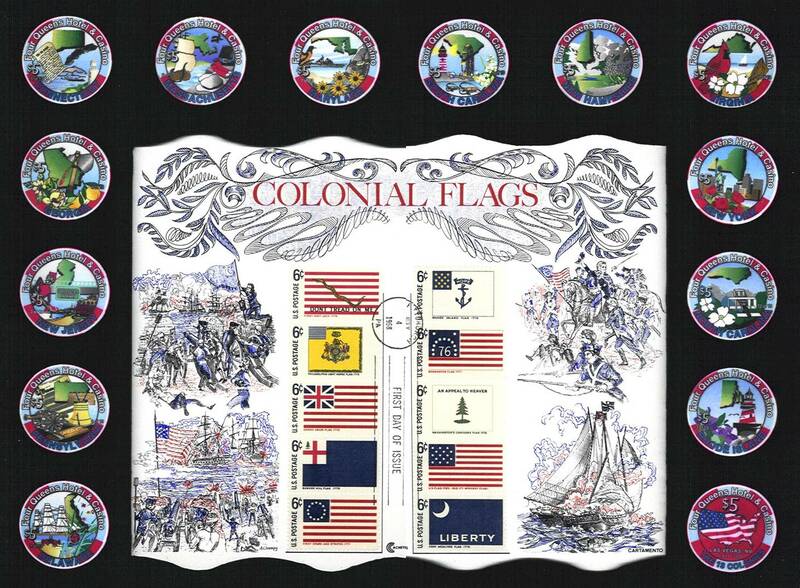 This is a set of $5 chips issued by the Four Queens Casino in Las Vegas honoring the original 13 colonies, along with a First Day display card of Colonial Flags. I also have a small collection of silver strikes, special tokens issued by some casinos when slot machines still actually had tokens in them. This is a set of four $10 silver strikes issued by The Palms Casino in Las Vegas, honoring America the Beautiful. The larger strike in the middle is a $200 strike that is 3 1/2 inches in diameter. To get one, you had to first collect 20 of the $10 chips, then exchange them for the $200 version (which obviously would not fit in any slot machine). 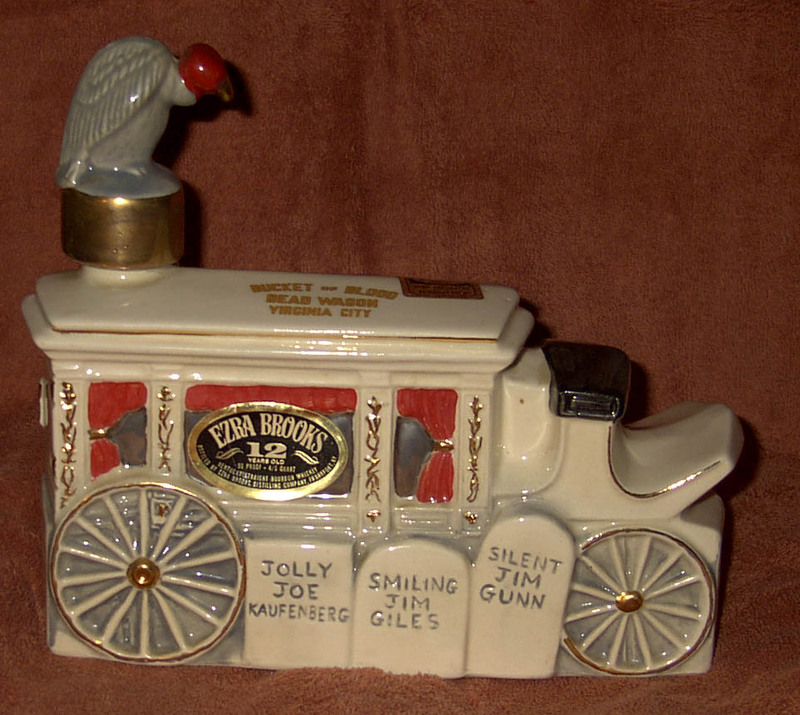 As an adjunct to my chip collection, I have collected decanters from some of my favorite casinos or which relate to particular chip collecting interests … this one is from the Bucket of Blood Casino in Virginia City, a wonderful old Northern Virginia silver-mining town that has fascinated me for years. 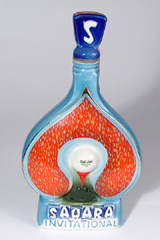 Another decanter, which ties together collecting chips & playing golf. This one is from a 1971 Invitational Golf Tournament held at the Sahara Hotel & Casino in Las Vegas, Nevada. Speaking of golf, I also have several hundred casino logo golf balls. This one is from the Carson Nugget Casino, Carson City, Nevada. 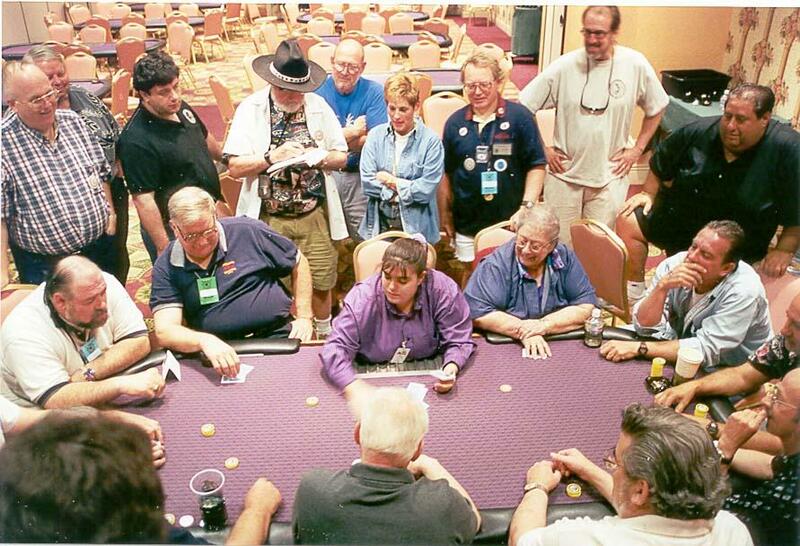 Each year at the CC & GTCC convention, the club holds a poker tournament. In 2001, I played, but did not do well. I did watch the final table to see my friend Paul Sax (seat 5, back to camera) play. Also watching, wearing a cowboy hat and looking down at the moment, is my friend Travis Lewin, who was a professor of law at Syracuse University School of Law. Finally, the chip collecting hobby innovated the use of individual chips as business cards and personal mementos. This one is of my friend Archie Black, the founder of the CC & GTCC. 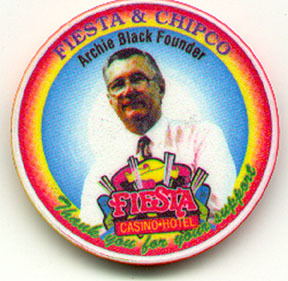 It is a Chipco (ceramic) chip issued by Chipco and the Fiesta Hotel & Casino. 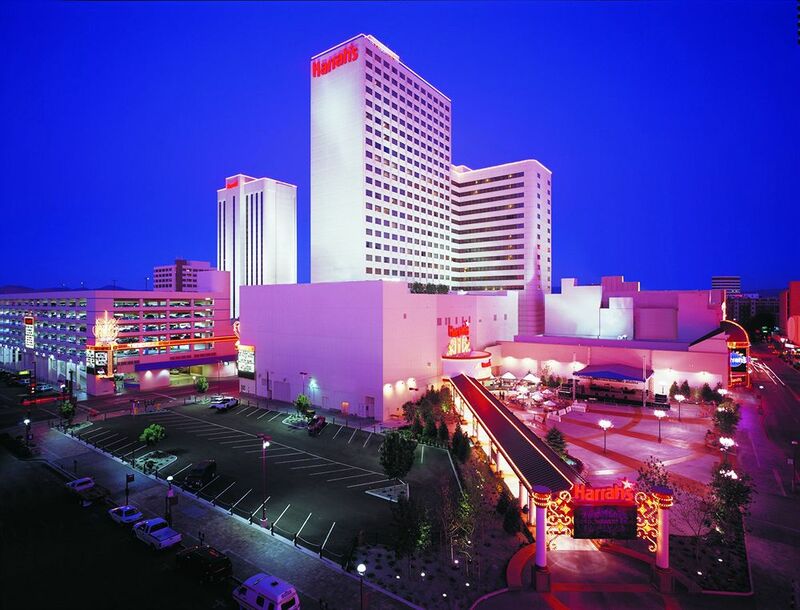 The 2015 CC & GTCC convention will be held June 24-27… at the South Point Hotel & Casino in Las Vegas.